Everything about the Orton Park Festival screams local. 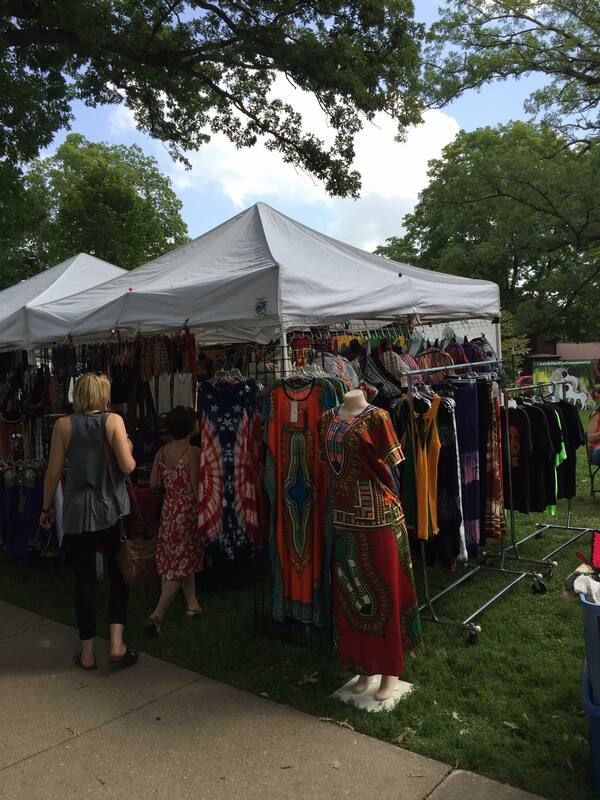 Sponsored by the Marquette Neighborhood Association, the festival returns for a 53rd year with a wide variety of both vendors and musicians from the Madison area. The shady oaks of Orton Park provide a beautiful setting for families and people of all ages to enjoy the festivities, and entrance is once again free of charge. When you enter Orton Park during the four days of the festival, you’ll notice how integral community and political activism are to the festival. A tent was selling merchandise to support Marijuana reformation laws. 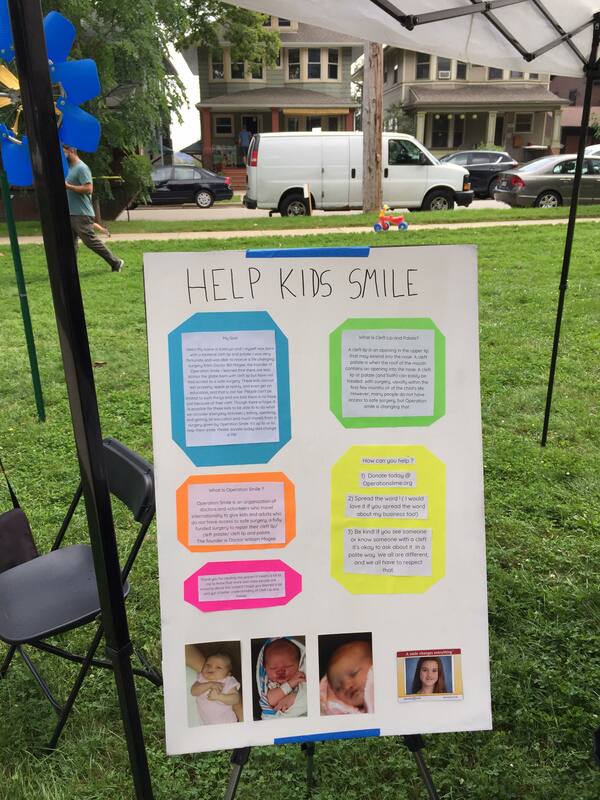 On the other side of the park, three young girls were selling jewelry and using the proceeds to support Operation Smile, an organization of doctors and volunteers who give cleft lip and other dental surgery to kids in need across the world. 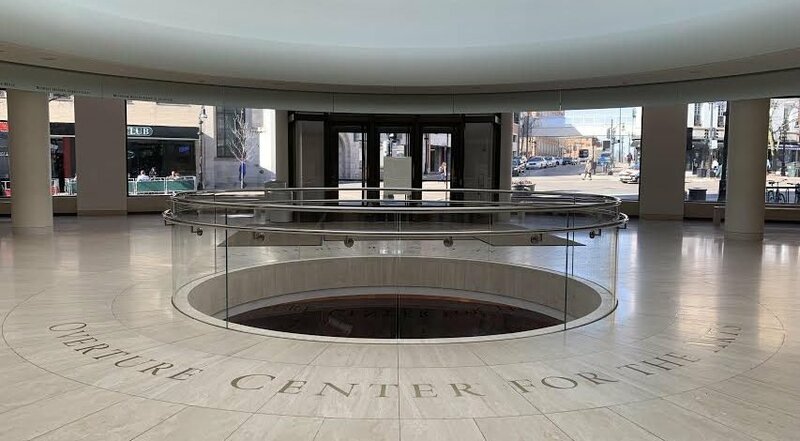 All the while, raffle tickets were being sold to support the Marquette Neighborhood Association’s goals of improving public schools, providing college scholarships and improving parks in the Marquette neighborhood. 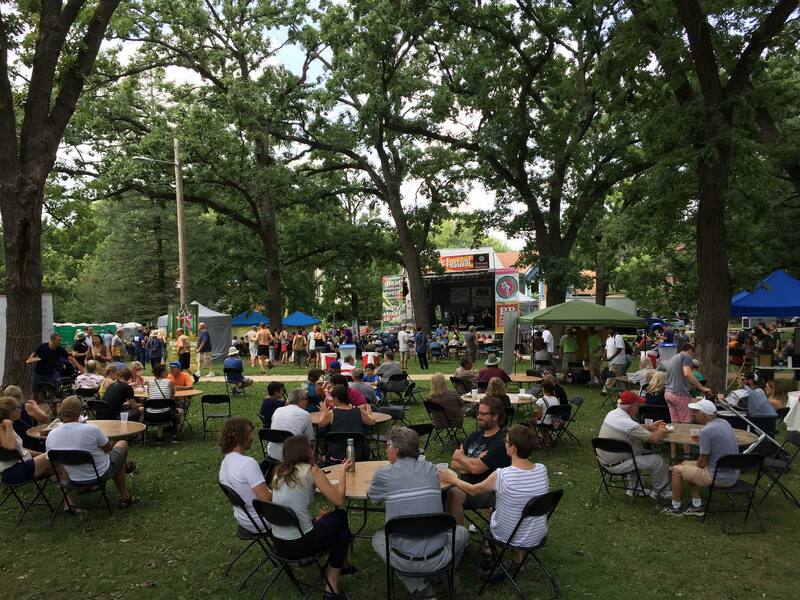 Aside from the important work being done to help local Madison communities, the Orton Park Festival facilitates a family-friendly environment where anyone can find something enjoyable to do. While the kids run around and climb on the playground, their grandmothers sit around the table, drinking wine and playing bridge. 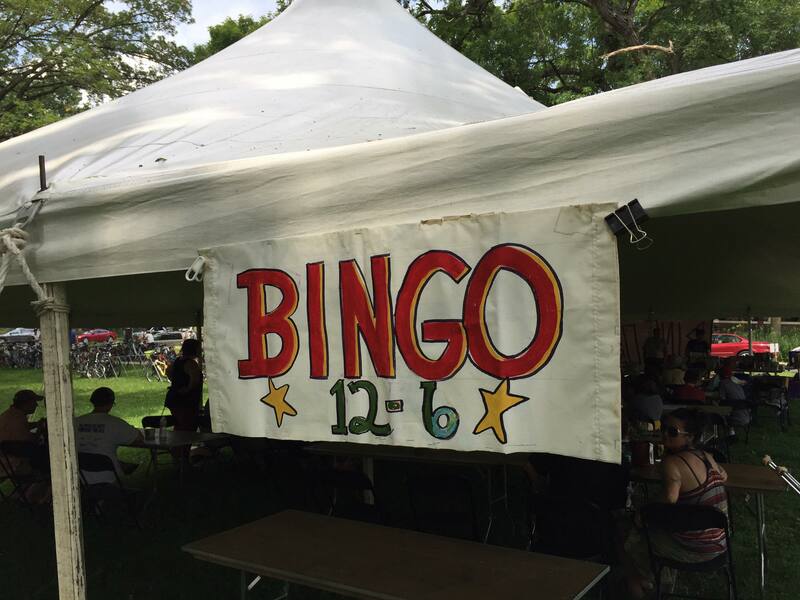 A huge tent is set up for bingo, and you can hear the excitement of the winners coupled with the disappointment of the losers as you walk by. Tables and picnic blankets are spread out throughout the park facing the stage, where a variety of mostly local artists play jazz, folk, country, latin and rock music. Those who have the most charisma dance to their heart’s content on the dance floor. The musical artists feature a variety of genre, but there is perhaps even more variety in food options. Local food trucks with Mexican, Jamaican and East African food offer some of the most popular lunch and dinner options, while those who want to indulge in ice cream, coffee and beer are not left disappointed. A significant section of the park is set up for local clothing vendors, which provide an opportunity to purchase some unique, thrifty items. One of the most unique vendors sold dreamcatchers and garments from South America. 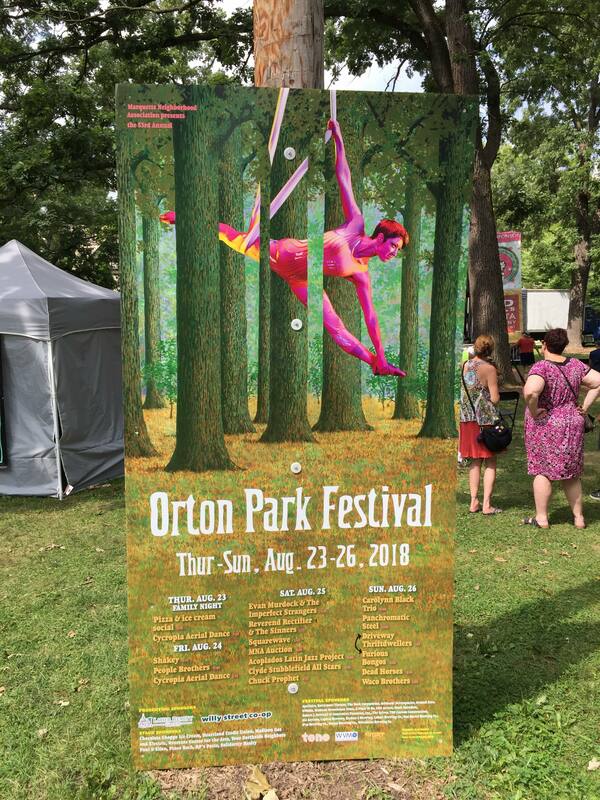 The Orton Park festival is a difficult event to summarize given its dynamic and ever-changing atmosphere. The first two days begin with aerial dance performances from Madison fixture Cycropia, while the remaining days focus on musical performances. Regardless, it’s evident how important the festival is to the community. Not only does it facilitate conversations about community activism and raise money benefitting these issues, but it brings people together to enjoy each other’s company in a beautiful park on the east side of Madison.